This week, Karen Hardy was joined by the hunky Adam Garcia for the Red Button alternative commentary. Adam started his musical theatre career in Australia but it wasn't long before he graced the bright lights of the London's West End in shows such as Grease and Saturday Night Fever. Watch Karen and Adam as they share their own individual take on our 11 couples, as they perform for the Strictly Halloween Special. Why not join in and share you thoughts below as well! Watch Red Button commentary from week 5. 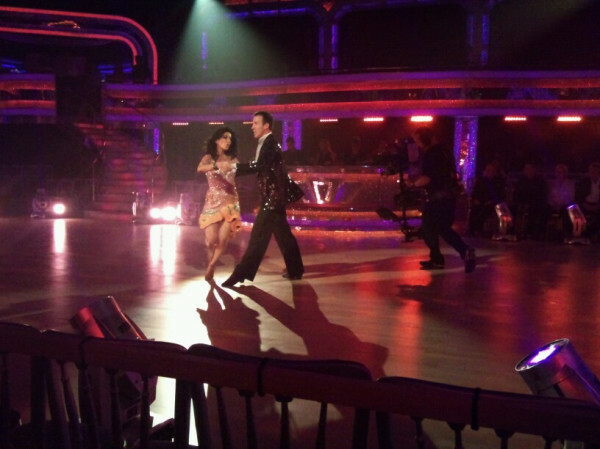 Nancy Dell'Olio and Anton Du Beke have become the fourth couple to leave Strictly Come Dancing. 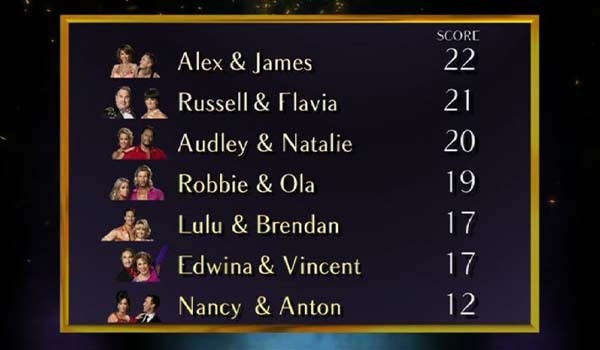 The pair found themselves up against Audley and Natalie in the bottom two after receiving the lowest score this week from the judges. The duo were only awarded 14 points - four points lower than last week - and that result, combined with the public vote, meant they had to say goodbye. Bruno summed up the pair's routine when he said: "Nancy, emerging from the coffin, looking like the Queen of the Night but you danced like the walking dead. 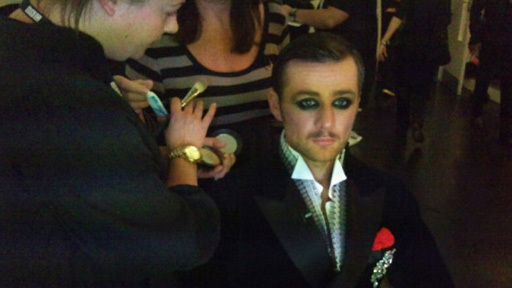 It's like the zombie of Bond Street." How do you feel about Team Nanton's departure? Yesterday's Halloween spooktacular was a colorful affair which saw a number of our celebrities in unusual places: Nancy started her routine in a coffin, Lulu and Craig (separately) arrived by gliding into the ballroom on a zip wire, and Audley saved Natalie from a rather large Venus flytrap. But tonight one couple will leave the competition. The judges handed out a plethora of different scores yesterday, and the public vote will also be a factor too. Who will stay and who will go? Watch from 7.25pm on BBC One. The spooky spectacular tonight was full of drama - we saw glitter covered coffins, smoking cauldrons and even a jumping hip thrust on the judges table. Alesha dished out two tens this weekend for both Team Hali and Team Jastina - on the opposite side of the leaderboard, Nancy and Anton scored 14 out of 40, which put them at the bottom of the pack. Our leader last week, Chelsee, suffered a wardrobe malfunction but still made it through the routine and finished in 3rd place with a very respectable score of 32. 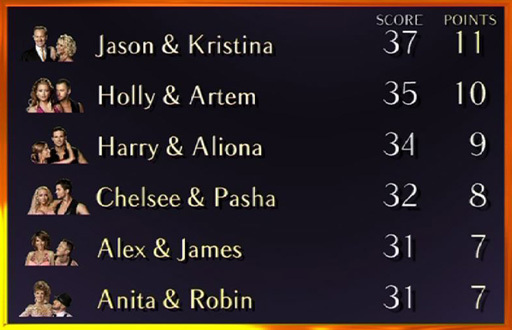 Jason and Kristina have taken back the high score crown, but will that be enough to keep them in the competition? Here are the scores for Week 5 - find out who will be getting the chop on Sunday at 7.25pm on BBC One. It's Fright Night here at Strictly and this evening our dancers will be performing some devilishly good routines in the hope of returning to the ballroom next week. 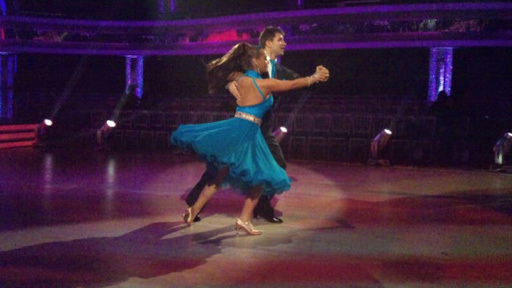 You can see a full list of each couples dance style and music on our Week 5 Rehearsal blog. 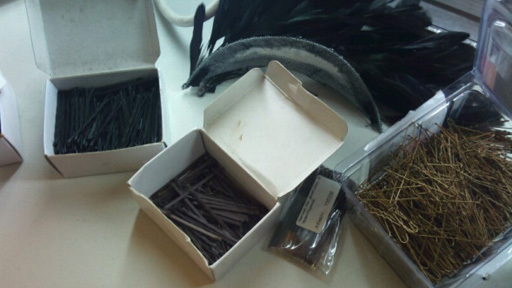 We will be at 'stage door' to catch up with our Halloween creatures straight after their performances to get the gossip from the floor - stay right here to see exclusive backstage pictures and comment along with the show. Russell: "I'm disappointed as I've done it a lot better"
Audley: "That was so much fun. 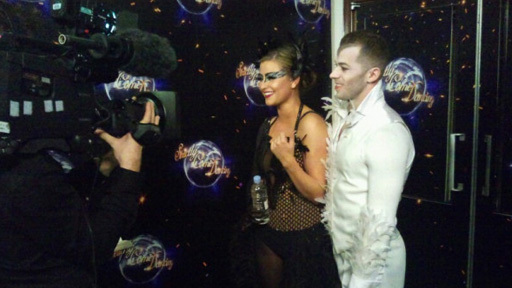 Halloween was great fun"
Alex: "I think our acting and dance fitted the Halloween theme"
Holly: "Artem's choreography was amazing. 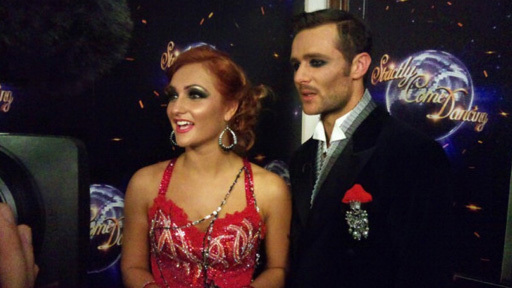 I really enjoyed that dance"
Anton: "I don't think Len was very polite tonight"
Robbie: "I'm disappointed. I thought it deserved more than a 4!" Lulu: "I'm made up about this performance. I loved flying!" The ballroom is calling, so what's the score Len! Now that's a big spider! Even the scoring paddles have had a makeover! Here we go! The dress rehearsal has begun! Strictly is getting spooky this weekend and we have a sneaky peek at how our little monsters are getting on in rehearsals. 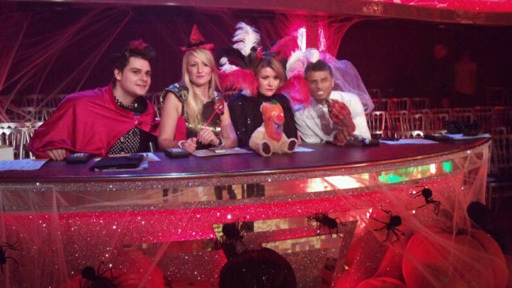 Our remaining 11 couples will perform specially-themed Halloween performances this Saturday at 6.30pm on BBC One, but which poor souls will be leaving the ballroom through the trap door? 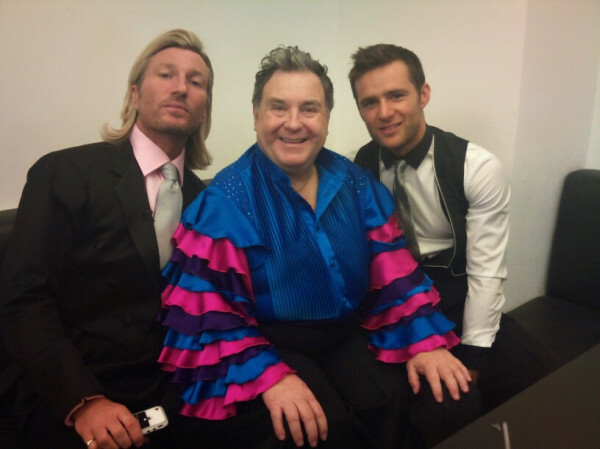 Star man Russell is having the time of his life on Strictly. 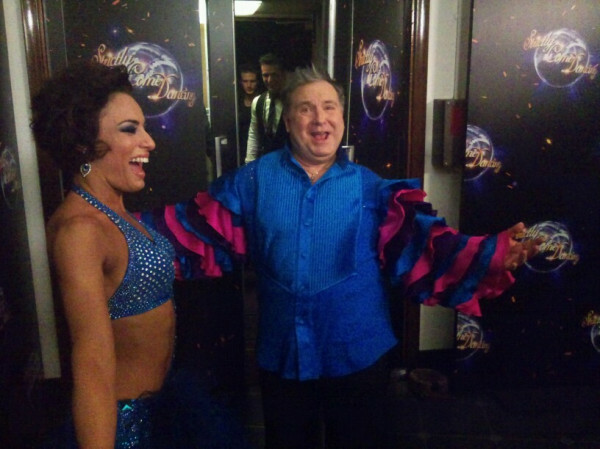 Alesha wonders if there's anything he can't do and Len, well, he reckons Russell puts the boy in flamboyant! 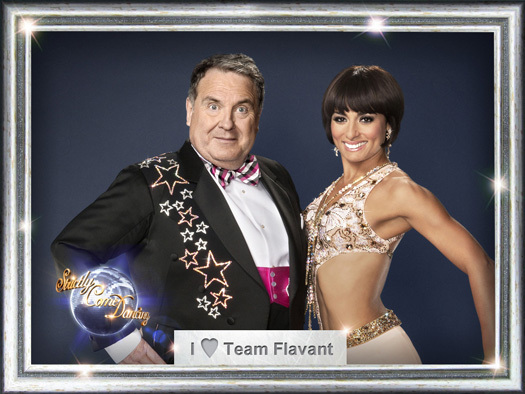 If you just love this cosmic couple and agree that Team Flavant put the show in showbusiness then you've come to the right place! You can share your passion for all-things Flavant by leaving a comment here, as well as finding out more about our star-crossed twosome. Enjoy an exclusive video message from Russell and Flavia. Is TV presenter Miss Jones the only one for you? 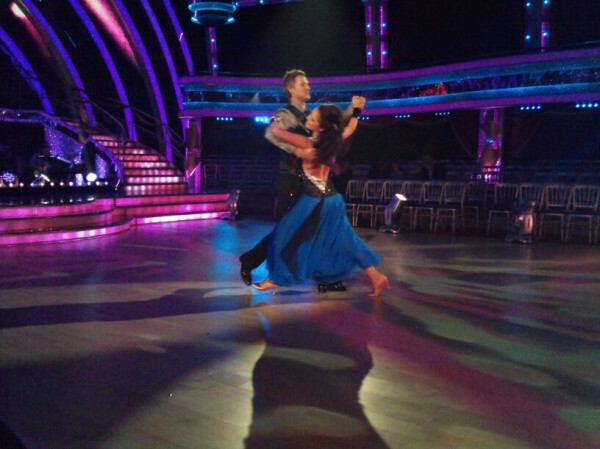 Do you agree with Len that her Viennese Waltz with James was "simply beautiful"? Well then look no further than the Team Jalex page! Here you can share your love for this "elegant and dreamy" pair by leaving your comments below and also find out more about everything that is Team Jalex. 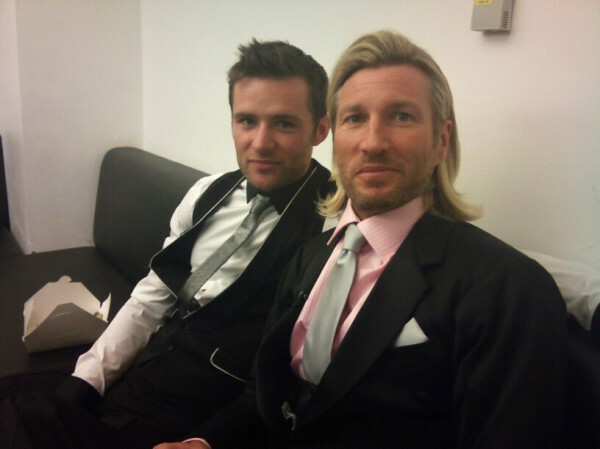 Enjoy an exclusive video message from Alex and James. Bruno thought Lulu danced the Foxtrot with all the "emotional fragility of a teenager in love..." and Alesha described her Rumba with Brendan as "elegant and romantic". 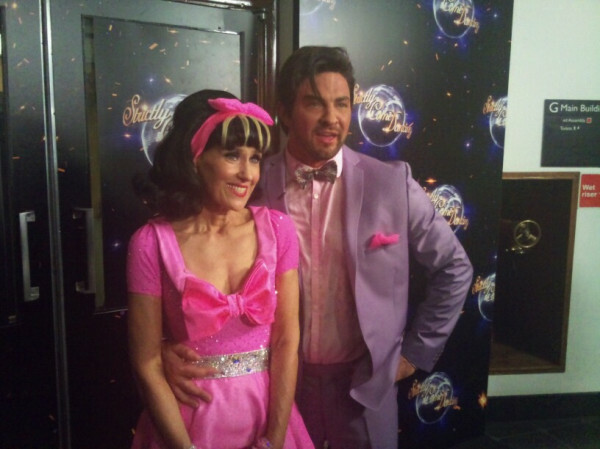 Do you agree with our judges that Team Brulu can light up the dancefloor? Then why not shout your support by leaving a comment below. And whilst you're here, you can also brush up on some more background Brulu knowledge. Enjoy an exclusive video message from Lulu and Brendan. Would you give Chelsee's Cha Cha an A* in her end of term report? Do you think she's always ahead of the class? Then look no further than this page! You can share your love for everything Team Chasha right here. And as if that wasn't enough you can even swot up on your knowledge of the pair too. Enjoy an exclusive video message from Chelsee and Pasha. 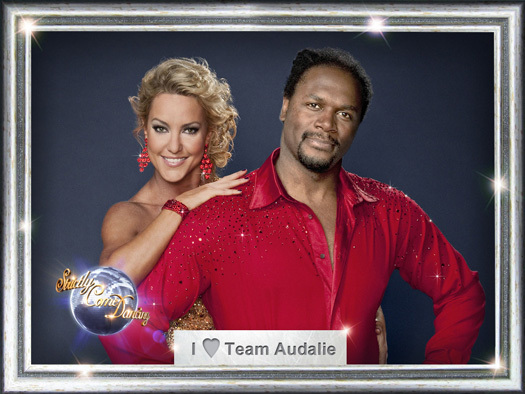 Former boxer Audley Harrison and his partner Natalie Lowe are Team Audalie. Audley has been suprisingly light on his size 17 feet, zipping across the dancefloor with all the grace of a prize fighter. Len praised him for his Foxtrot remarking "I am sitting here giving you a standing ovation. Well done" Craig picked up on his natural rhythm during the Salsa, remarking "You look like you have got a groove going, which is fantastic. And a bit of hip rotation, which we love!" Want to show your love for Team Audalie? Share your messages here! Fighting off wayward feather boas, illegal lifts and some rather strong-worded 'advice' from the judges, Team Nanton are still holding tight in the competition. Nancy and Anton's colourful performances have even thrown Craig off balance, describing Nancy's footwork akin to a "plodding horse" whilst offering the rather more encouraging "I think that secretly there is talent beneath the surface and I think you really need to invest in that." If your enjoying the dance antics of Team Nanton, leave your supportive messages below and get to know them a little better by following our links. Welcome to the fan page of Team Jastina this high scoring pair are no strangers to the top of the leaderboard with Len naming Jason "the midwife" because he keeps on delivering. Even Craig's reserve cracked during Broadway week, declaring a three syllable "stu-pen-dous" after the duo's camp-tastic Tango. Lights, camera, DOBBIN! 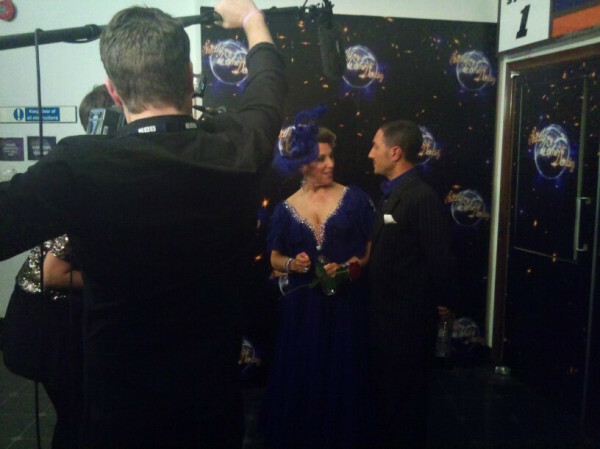 Actress Anita Dobson and her partner Robin Windsor have impressed the judges with their technical prowess in the ballroom. Be it the Jive or the Waltz these two never fail to deliver! 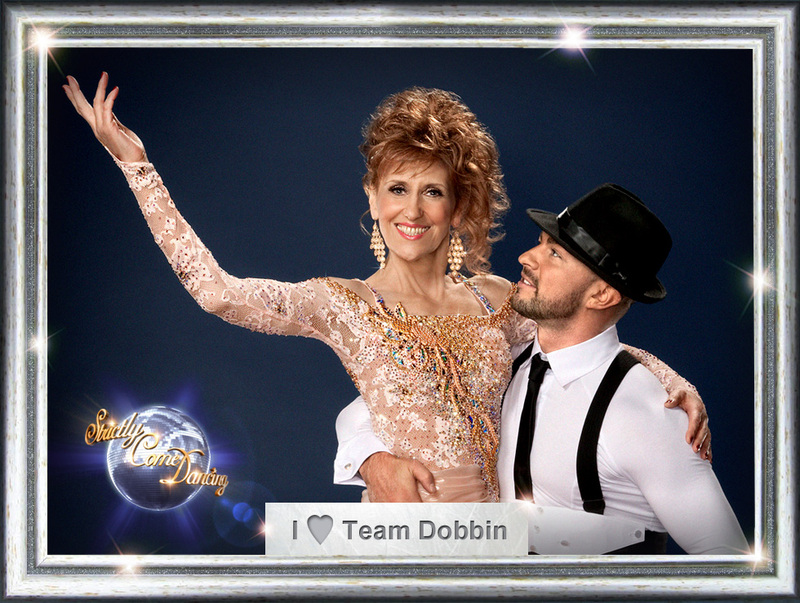 Are you a Team Dobbin supporter? 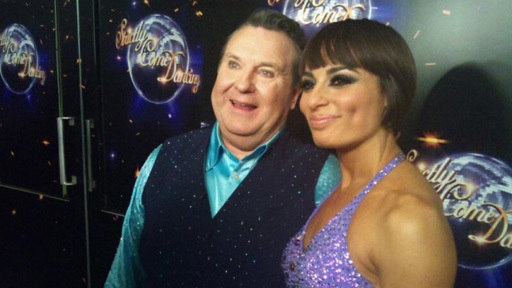 Do you think Anita and Robin should be crowned the winners of Strictly Come Dancing 2011? If so, why not show your love by commenting right here on their fan page! It's TEAM SAVOLA! 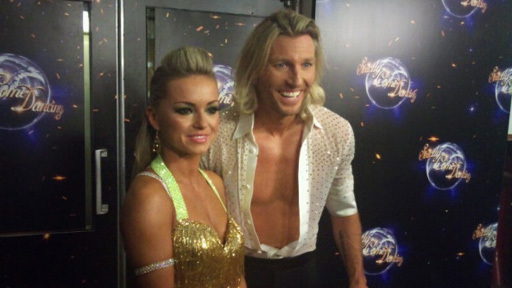 This dynamic duo is made up of footballer Robbie Savage and professional dancer Ola Jordan. After receiving a frosty reception from the judges in the first week, this pair of blond-bombshells have come on leaps and bounds perfecting their turns on the dance floor. Are you impressed with Robbie's scoring ability? 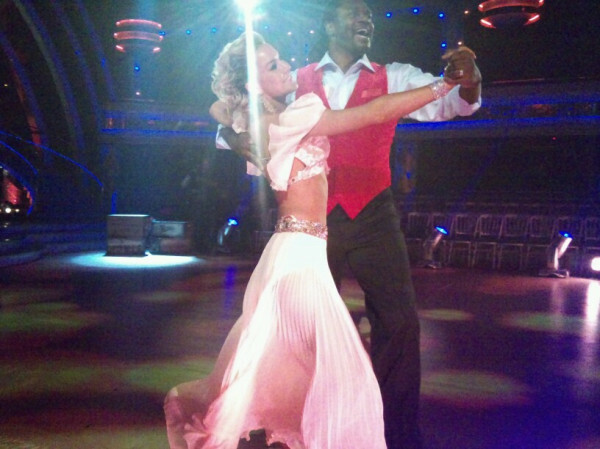 Or maybe you think Ola's Salsa skills are worth a glitter ball- whatever your reasons, you can talk about it all here! Not only can you discuss all things Savola-la-la by posting your comments below, but we have some useful links to help you get to know Team Savola better. Join the Savola revolution and show your support by commenting below. Well this team are automatic, systematic, hydromatic... why, it's TEAM HALI! Harry and Aliona - aka "Team Hali" - have been turning up the heat on the dancefloor since they were paired at the launch show. Team Hali scored the first ten of the series from the judges, but do you think they deserve a perfoect score? Is your heart beating to the sound of Harry's drum? If so, show your support for TEAM HALI right here on the blog! 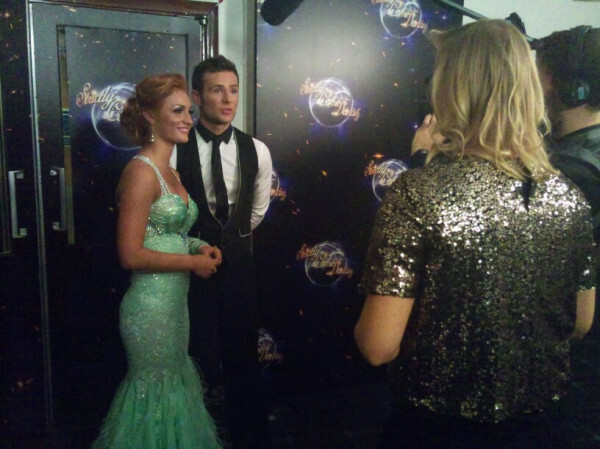 You can also get to know Team Hali better from following our links below - don't forget to leave your comments for Harry and Aliona! Get quizzical with Widdy's Question Time! 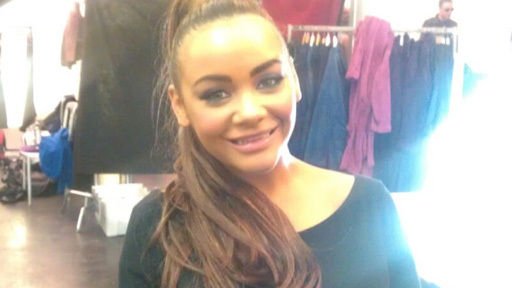 Have you got a burning question you're desperate to ask one of our celebs or pros? Well don't fret because Strictly legend Ann Widdecombe is coming to the rescue in It Takes Two's all-new feature Widdy's Question Time. Leave your questions for Ann - however silly or serious - on the comments feed below or e-mail ittakestwo@bbc.co.uk with your best efforts. To get you motivated here's a message from the lady herself. 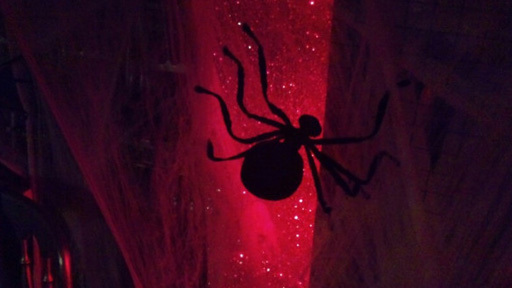 We're less than a week away from our Strictly Halloween show. Last year's extravaganza included Ann Widdecombe showing how much of a 'Wild Thing' she was, and Natalie Lowe using her witchcraft to cast a spell on Scott Maslen. 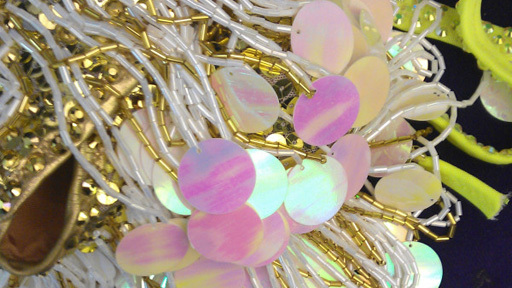 What goulishly delightful treats will we have in store for you this year? Another celebrity will meet their grizzly end, where they will join Deadwina Currie, Devilishly Dan Lobb and Gory Bremner. 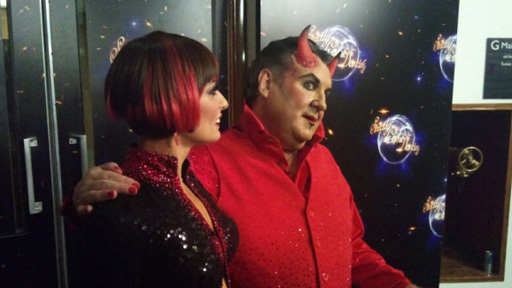 The couples will have to work hard if they are to avoid the cutting comments of Craig Devil Horwood. Who will glide like a bat, and who will move like The Mummy? Watch the Halloween trailer and let us know if it's a 'Trick or Treat'. Tonight Rory Bremner became the third celebrity to leave Strictly Come Dancing 2011. 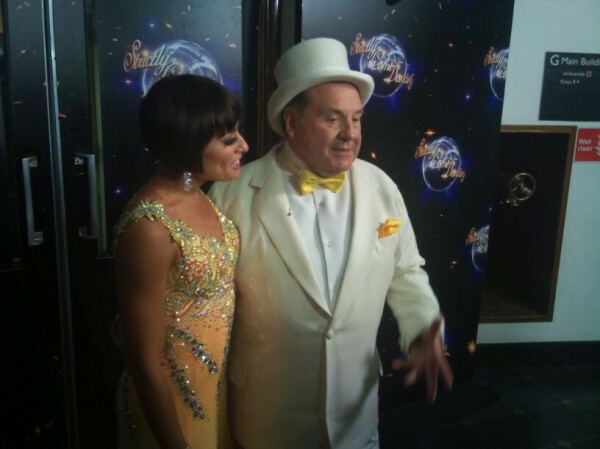 On Saturday Rory and his professional partner Erin Boag performed a Cha Cha which failed to leave an impression on the judges, with Len stepping in on Rory's political comedy territory, to remark; 'Well you're like the government there is a lot going on and not all of its good." Tonight after the combined scores of the judges and the public vote were counted, Rory found himself in the bottom two with Nancy, before the result that Rory was leaving was announced. Last night the competition took a turn as Jason's hold over the leader board was broken by Chelsee's high flying Quickstep, described by Craig as 'first-class'. 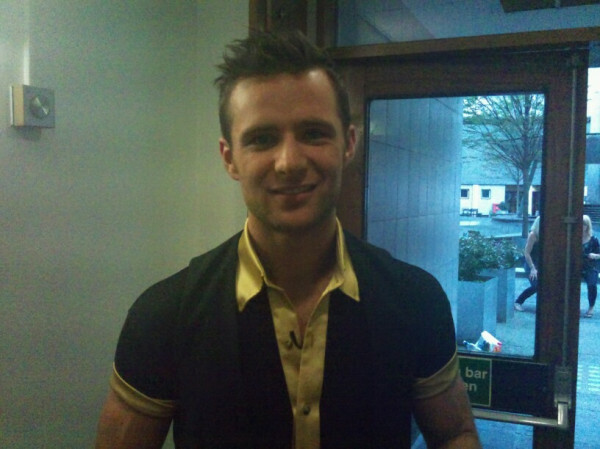 The first 10 of the series was awarded to Harry with a Waltz that divided the judges for it's unconventional choreography. What a night it has been! We had tears from Anita, shouting from James and a whole lot of upside down Nancy. 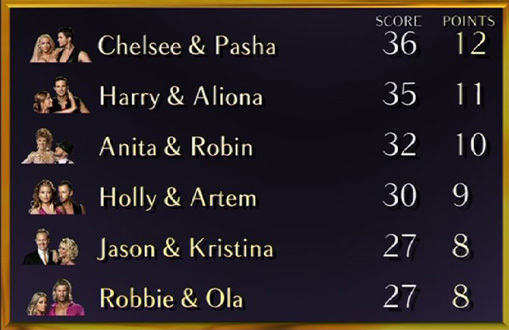 Alesha awarded the first ten of the series to Harry and Aliona, even Craig got in the high scoring spirit and handed out a nine to Chelsee and Pasha for their energetic Quickstep, finally knocking Jason and Kristina off the top spot and scoring an impressive 36 points. 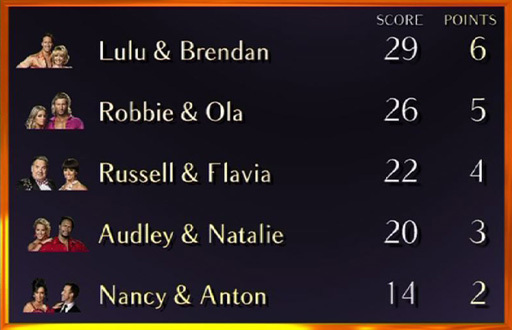 At the bottom of the pack this week we have Nancy and Anton - their scores may not have been high, but the judges and studio audience certainly enjoyed the acrobatics! 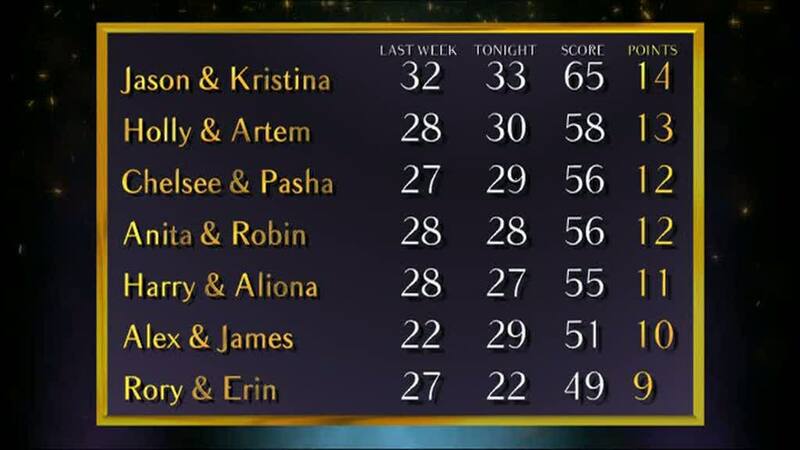 Here are the scores for Week 4 - find out who will be leaving the show this week on Sunday at 7.25pm on BBC One. 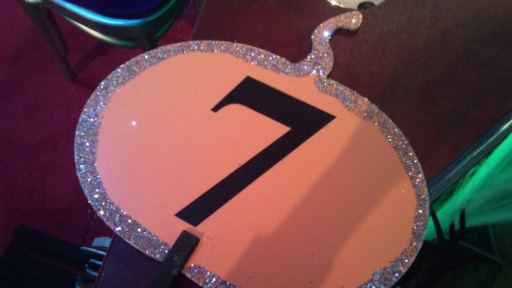 Tonight our Strictly starlets will be dazzling the judges with no less than 11 dance styles! With such an eclectic mix of Latin and Ballroom dances on offer, we should be in for a fantastic night of glitz and glamour! 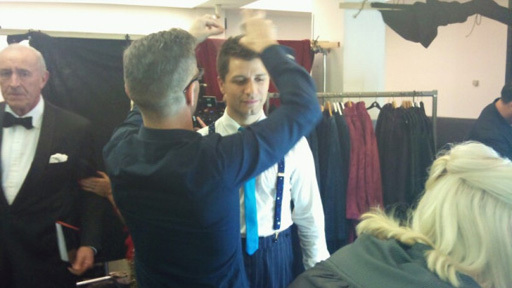 Final touches for Pasha p.s. peek-a-boo Len! Robin and Ola have one last pic before call time! Jason: "I did my best. I couldn't do any more. It's just not my forte"
Alex: "Craigs comments didn't even help me. He just said a few words"
Rory: "I turned the wrong way. What was that all about?" Natalie: "My mum's in the audience so it was a lovely performance for her to see"
Anton: "You only have one chance and we did our best in that moment"
Brendan: "Frustrating comments from the judges. It drives you nuts!" 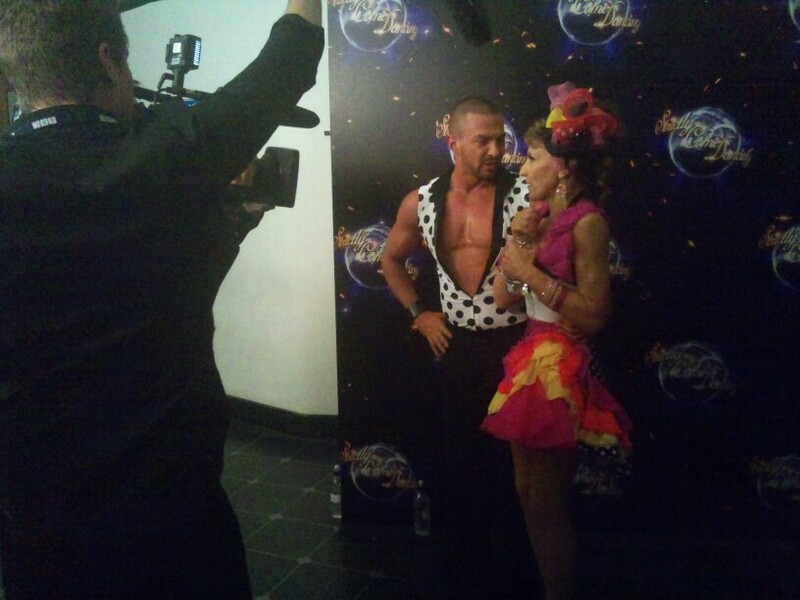 Artem: "I'm proud of Holly. It was a great, elegant performance"
Chelsee: "That was our best score. I'm totally over the moon!" Harry: "I'm in shock. A 10!! I can't believe it"
Anita: "YEAH! I'm so very pleased!" Robbie: "Latin is definitely not my strong point but i did my best"
Russell: "It was fantastic that Bruno totally got the dance"
The sequins are on standby as our 12 remaining couples are preparing for their live performances tonight at 6.25pm on BBC One. 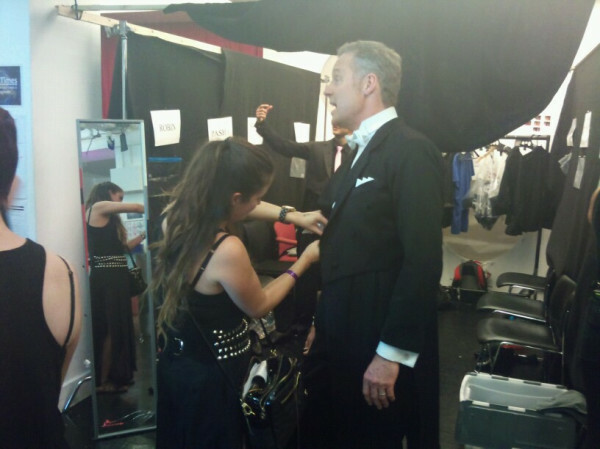 We will be posting exclusive backstage and dress rehearsal pictures here, so stay tuned to catch a glimpse of our Strictly stars in action! Watch out Bruno, Natalie is in your seat! 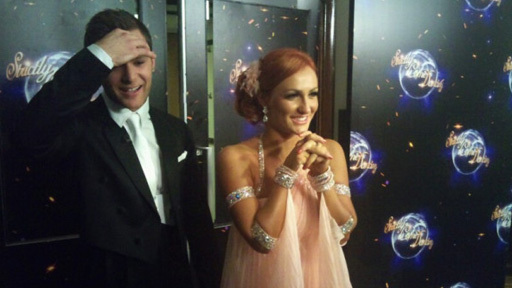 Aliona checks her schedule backstage. Here we go, the dress rehearsal is about to start! 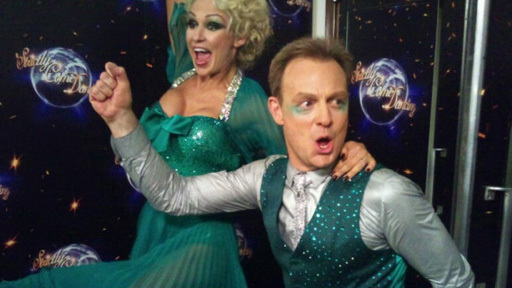 Lulu and Brendan on the Strictly dancefloor. 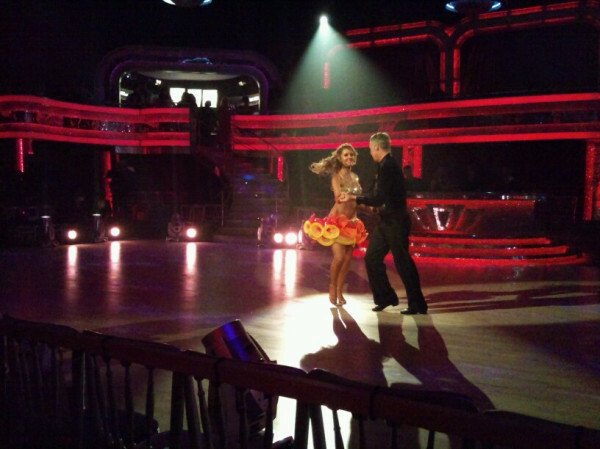 Another amazing dance from Russell and Flavia! Our time in the Strictly Ballroom is fast approaching, and no one knows this as much as our 12 trembling couples. If that gets your feet tapping and you can't wait until the weekend, then check out the EXCLUSIVE rehearsal footage of all the couples in training - will Lulu be able to keep up with Brendan's quick feet? And how long can Anton hold Nancy in that pose for? Which performance are you looking forward to seeing most? 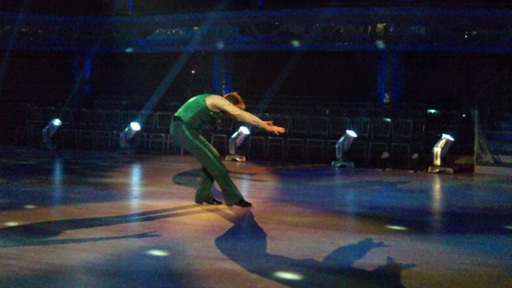 Catch more training footage on It Takes Two, 6.30pm, BBC Two. Hollywood star Jennifer Grey will foxtrot into Strictly Come Dancing as a guest judge next month. 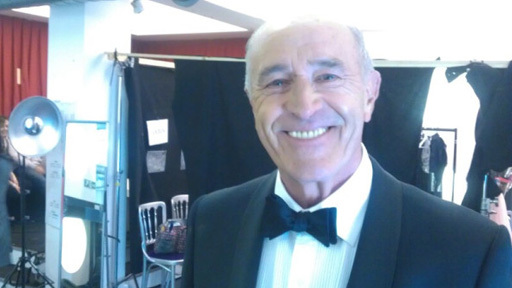 Stepping into Len Goodman's shoes for one week, she will join Craig Revel Horwood, Alesha Dixon and Bruno Tonioli on Saturday 5th and Sunday 6th November. Most famous for her leading role in one of the greatest dance movies of all time: Dirty Dancing, Jennifer is no stranger to world of ballroom, glamour and glitter-balls. Last year she and professional partner Derek Hough were crowned champions of Dancing with the Stars, the US version of Strictly. Jennifer says: "I am delighted to be involved. I so look forward to making the pilgrimage to the birthplace of the greatest dance show, the mecca of spray tans and tangos, and to sit in for the great and pernickety Len Goodman." Waltzing her way from the dance-floor to the judging panel, Jennifer will be able to draw upon her personal dancing experiences to offer a constructive critique to the remaining couples in the competition. 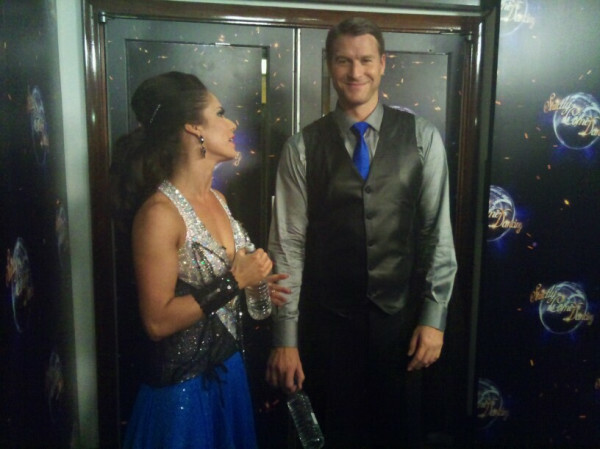 Dan Lobb and his partner Katya Virshilas have become the second couple to leave Strictly Come Dancing 2011. Tonight's elimination saw the breakfast TV presenter and his professional partner denied the chance to dance another day in the competition. 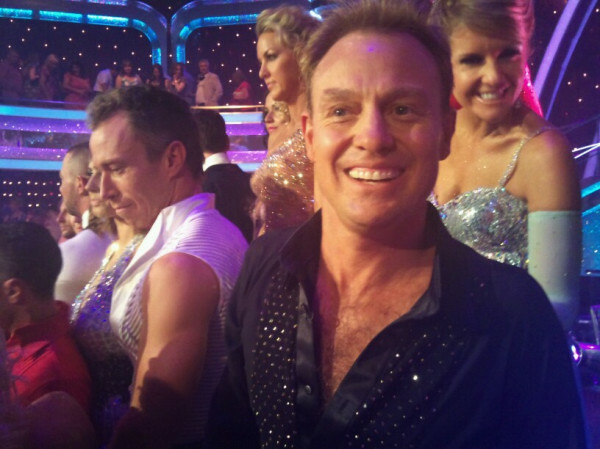 After a combination of judges' scores and the public vote left Dan and Katya in the bottom two with Nancy and Anton, it was then announced that the sun had set on Daybreak Dan's Strictly journey. 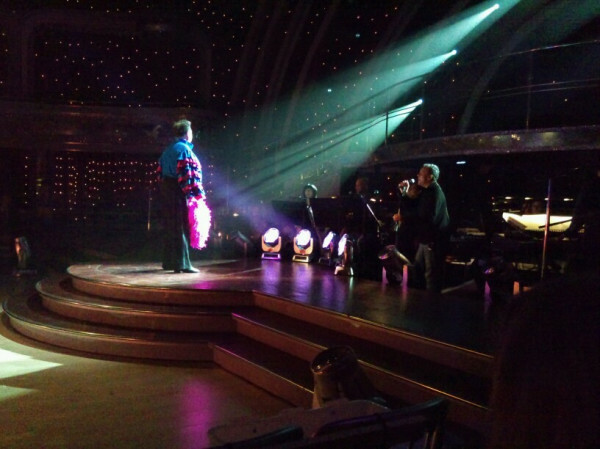 Saturday's live show had our 13 couples bringing the showbiz and show tunes of Broadway to the Strictly ballroom. Harry channelled John Travolta, Lulu faced her dancing demons with a Phantom performance and Holly broke-free with her 'Cell Block Tango'. Strictly's special Broadway Week was an extravaganza of music, glamour and full-on theatrics. But which couple were worthy of a West End smash and which couple were more amateur dramatics? 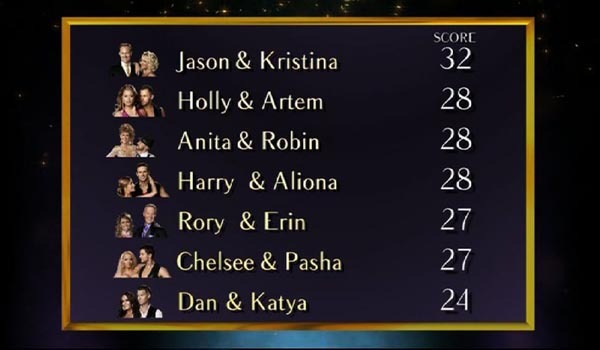 It was a tale of two tangos, as Jason and Kristina topped the leadboard for the third week with a camped-up routine that Craig described as 'stu-pend-ous'. Whilst back down at the bottom of the board unlucky Nancy and Anton's performance failed to razzle dazzle. "They say the neon lights are bright On Broadway. They say there's always magic in the air"
Put on your top hat and brush out your tails because for one night only Strictly captures the magic of musical theatre with a sprinkling of razzle dazzle, a touch of 'Grease Lighting' and a whole lot of 'All That Jazz'. 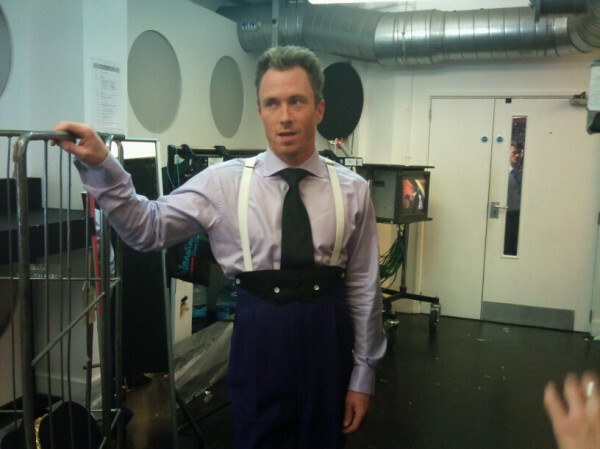 James Jordan's nickname this week is 'Willy Wonker'. Holly: "I love Bruno. He's hysterical!" 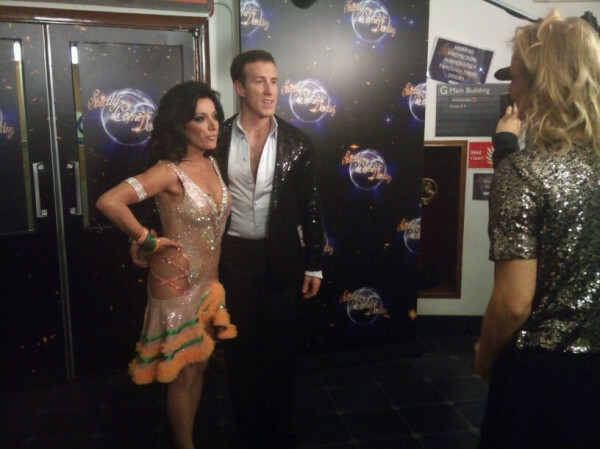 Dan: "This is the first week I felt like I danced the steps"
Robin: "I was so proud! We got a standing ovation!" Alex: "I didn't know how to react to Craig's comments. I felt quite embarrassed"
Erin: "I'm so proud! Rory has worked so hard and it's paid off"
Lulu: "Apparently I'm illegal! haha"
Nancy: "I have no comment about what Craig said"
Audley: "There was a moment where I nearly tripped but I just had to carry on"
Ola: "Robbie was so nervous. I could feel him shaking but I'm so proud"
Russell: "It was our first ballroom dance but I'm so pleased with how it went"
Kristina: "Jason delivers every week. 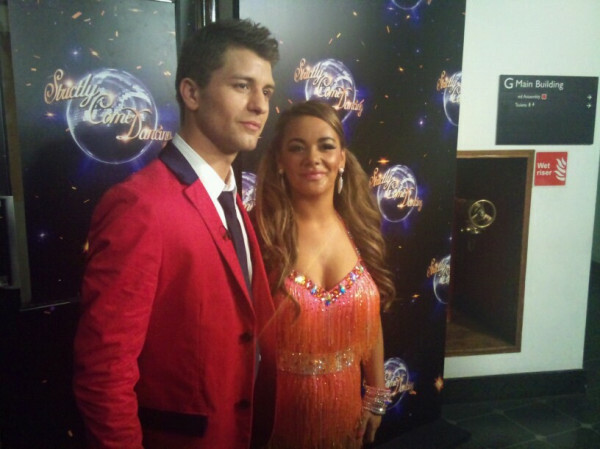 I'm so happy with him"
Chelsee: "I really enjoyed that performance and loved what Alesha said"
Harry: "Tonight I forgot all about the nerves and enjoyed every minute!" The smell of the greasepaint, the roar of the crowd! 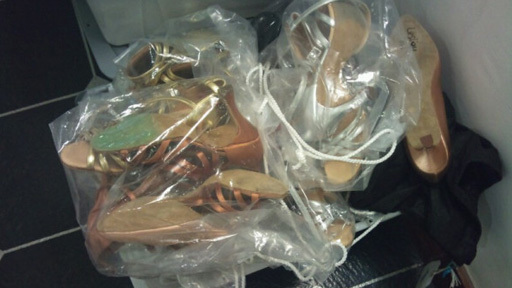 Backstage the celebrities are gearing up for even more glitz and glamour than usual, as tonight's Strictly transforms into a one-off Broadway spectacular. 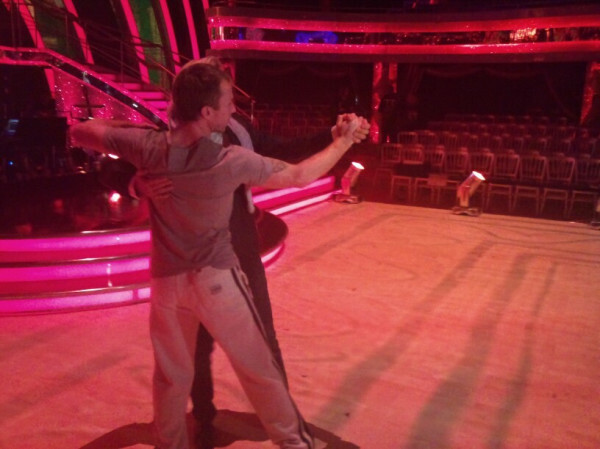 Yes, this is James Jordan giving Robbie a lesson. Or is it the other way round? 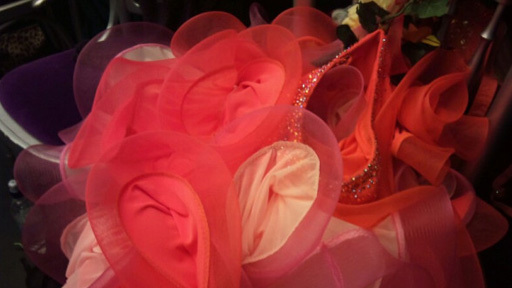 Which lucky lady will get to wear this sparkly number? Clothes for the boys. 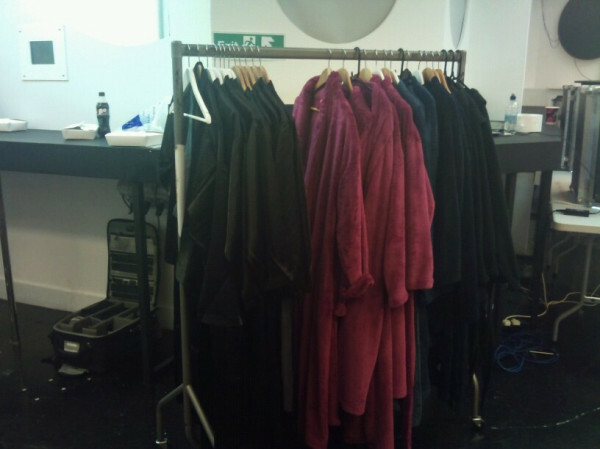 It's like a branch of Moss Bros backstage. Anita and Robin, unrecognisable tonight! 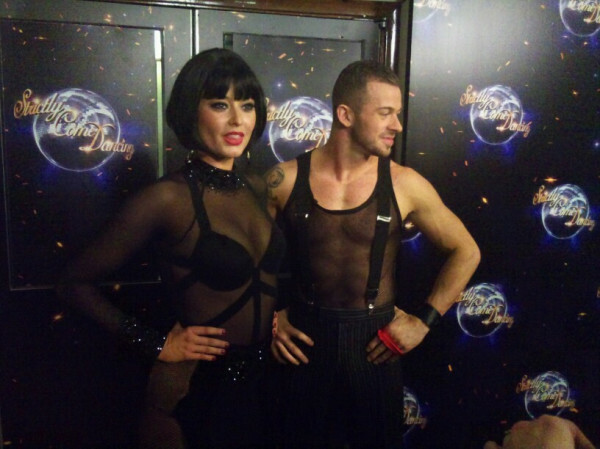 Holly and Artem, they had it coming! Nancy and Anton, don't miss this! Rory and Erin or Fred and Ginger? 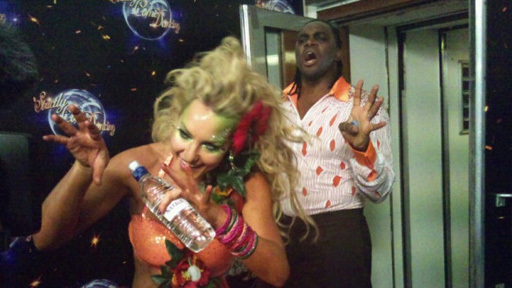 Robbie and Ola - another winning routine this week? Each week Karen Hardy is joined by a special guest in her Red Button booth. For Broadway week it seemed quite appropriate the legend turned children's author Henry Winkler OBE stopped by and shared his love of Strictly with the viewers. Happy Days! 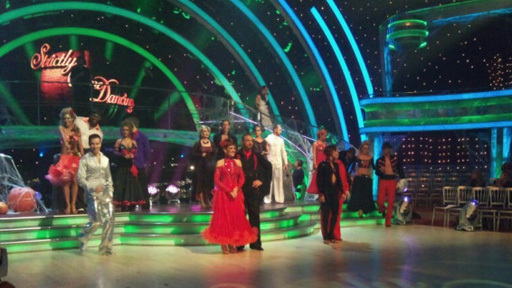 How big a fan of Strictly are you and how did your love affair with the show start? Well in America we have 'Dancing with the Stars' and we watch that every week. I have been lucky enough to be here at Strictly for the last three or four years, in Liverpool I met Ricky Whittle and gave him a pep talk and he did very well. I'm thinking maybe that had something to do with me (laughs). Talking of Dancing with the Stars, there's lots of campaigns on the internet to get you on the show as a contestant, is that ever likely to happen? Well I've learnt in this career to 'never say never' but I can come as close to saying never as I probably can, so I'll say no. So the rumour that you'd only take part if Ron Howard was your partner isn't true? (laughs) No, somebody made that up. I would only do it if Tess was my partner. Well that's never happened before but maybe we could have a word. 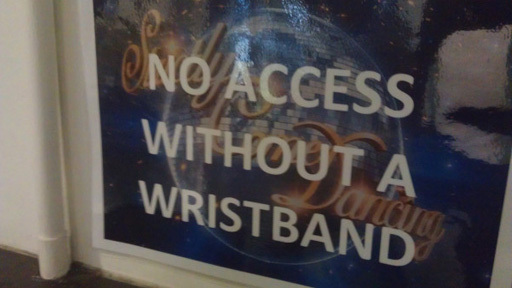 Would you do Strictly then? The chances of that are as good as getting me on Dancing with the Stars! It's Broadway week tonight - hypothetically if you were a contestant which big show tune would you love to dance to? Broadway week is very exciting, it is truely live television at it's best. I would dance to Billy Elliot as it's possibly one of the geatest musicals I have ever seen in my whole life. I can't tap dance but I would teach myself just to do that and I'd wear the tights too. I have no problem wearing tights, I know who I am and tights does not change that it merely makes my legs look better! How is your dancing? Can you throw some shapes? (laughs) The lines I create, from my fingertips to my toes, it's extraordinary. 'Throwing some shapes' I'm stealing that line, it's funny! As the ultimate king of cool who would you pick as this years 'coolest' celebrity? Harry, is the king of cool. I just met them all in the make up room and they are lovely, lovely human beings. 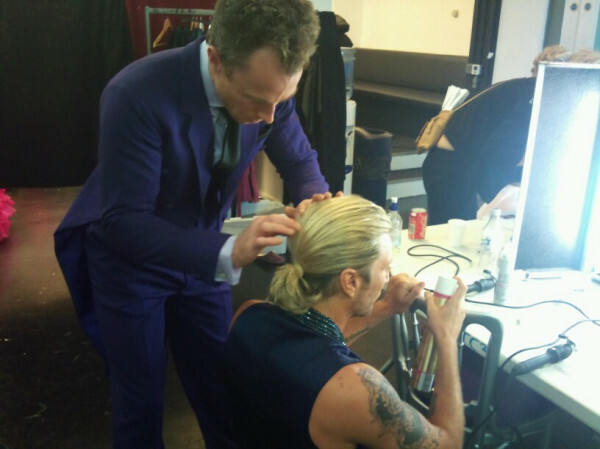 I would have to say Harry is cool, but Robbie is pretty cool too, I love his hair, I'd like mine like that. I had a photo with Audley harrison and I looked like a King Charles spaniel next to him - he's a big guy! And let's talk judges, do you have a favourite? I love Len, Bruno is very exciting - he is a TV show unto himself in the corner of that table. Craig is very knowledgable, very straightforward, knows his stuff, doesn't pull any punches and is very clear. Alesha is luuuvely. We're busy planning Strictly's LIVE Wembley Show and are looking forward to making sure as many Strictly fans as possible get the opportunity to see their favourite couples waltz across the show's biggest dancefloor on Saturday 19th November. Those fans who have applied for tickets within the closing date and who are successful in their application will be contacted on Monday 17 October with details on how to purchase tickets. 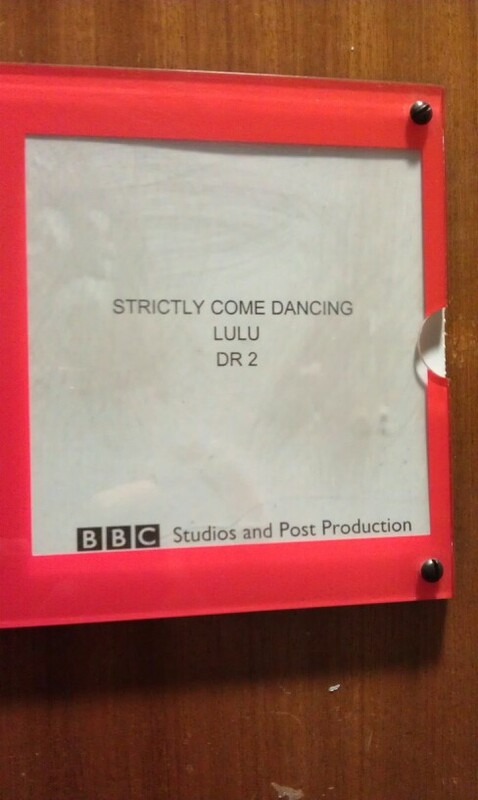 It's all getting very showbiz here at SCD HQ as our remaining couples prepare for the Broadway show. Our duos have free reign over their dancing style this week, so the pressure is really on for our new recruits to impress the judges and the fans with their technical prowess in the ballroom! You can catch all 13 of our pairings performing their dances LIVE on Saturday 15th October at 6.25pm on BBC One and BBC One HD. 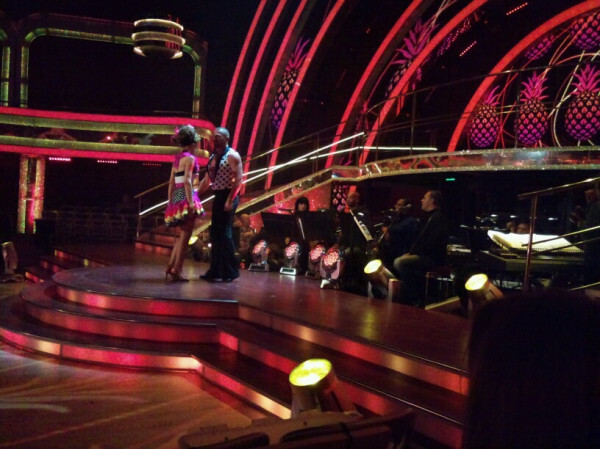 SCD is now in full swing; the first couple to leave the competition last Sunday was Edwina and Vincent - who's next? 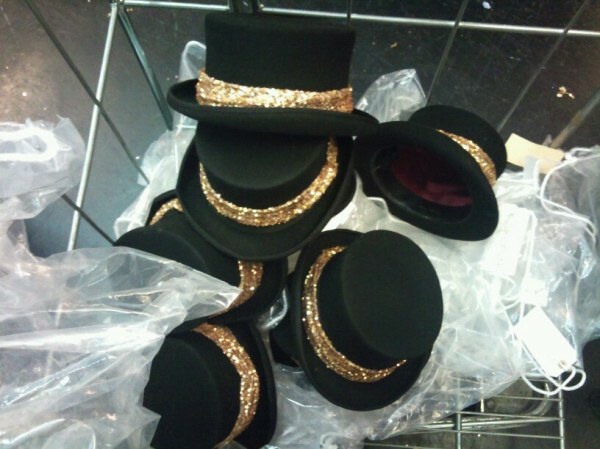 This Saturday the 13 remaining couples will need to up their game and show their theatrical side...it's Broadway week! Who will put on a Wicked dance? And who will produce a Rocky Horror Show? Check out the EXCLUSIVE rehearsal footage of the couples in training. 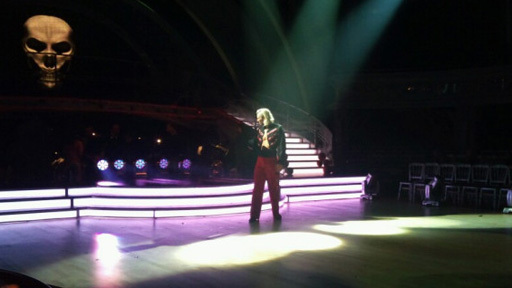 You can also see MORE of the rehearsals tonight on It Takes Two, 6.30pm, BBC Two. 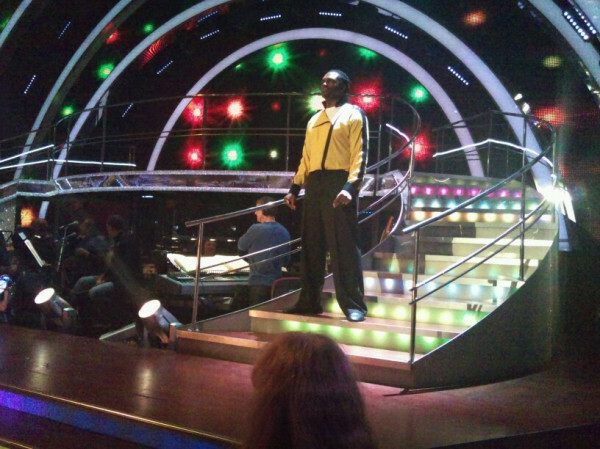 Week 3 is all about Broadway in the Strictly Come Dancing ballroom. The 13 couples are currently hard at work in the training room, perfecting routines that will surely dazzle and amaze this Saturday. In the build up to an occasion, that we at SCD-HQ know will go down in ballroom history, we have an exclusive treat - an extended version of the Broadway trailer, first aired during the live show on Saturday. 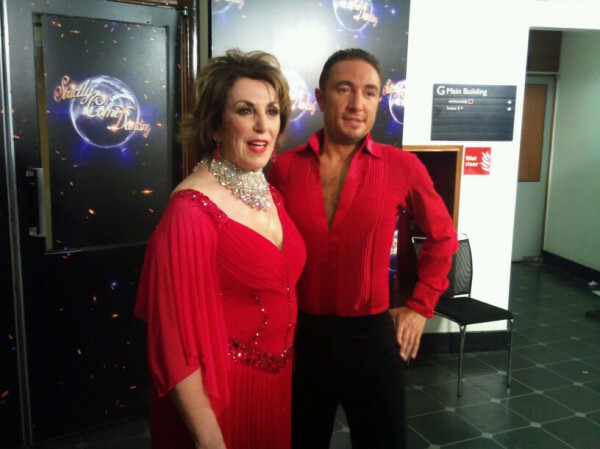 Edwina Currie and her partner, Vincent Simone became the first couple to leave, ending their Strictly journey just two weeks into the competition. 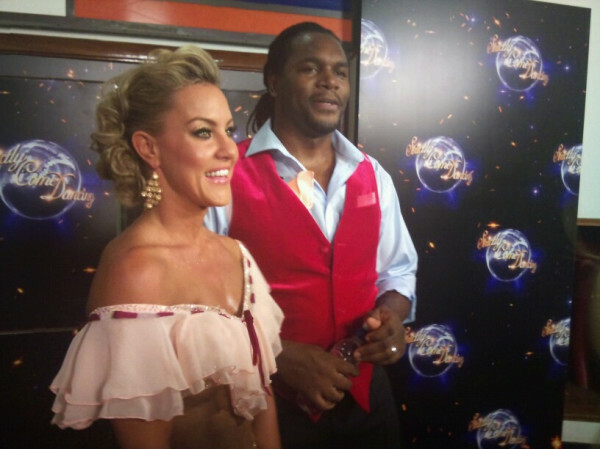 Tonight's elimination saw the former MP and her professional partner in the bottom two with Audley Harrison & Natalie Lowe. But after a combination of the judges' scores and the public vote, it became clear it was sparkly Strictly curtains for Edwina. We were on the dance floor when the announcement was made, and caught up with Jason, Alex, Nancy, Harry, Lulu, Rory and Chelsee for their reactions to the news. 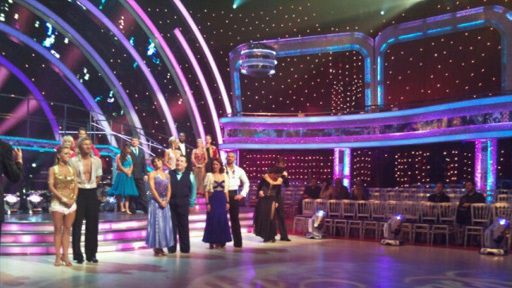 This Saturday's Strictly showdown saw all our fourteen couples take to the floor for the last time, as one celebrity now faces the first elimination of 2011. Jason and Kristina's smoking hot Foxtrot won them the admiration of the judges and a place at the top of the leaderboard. Whilst Nancy and Anton's Salsa failed to ignite, leaving them languishing at the bottom. 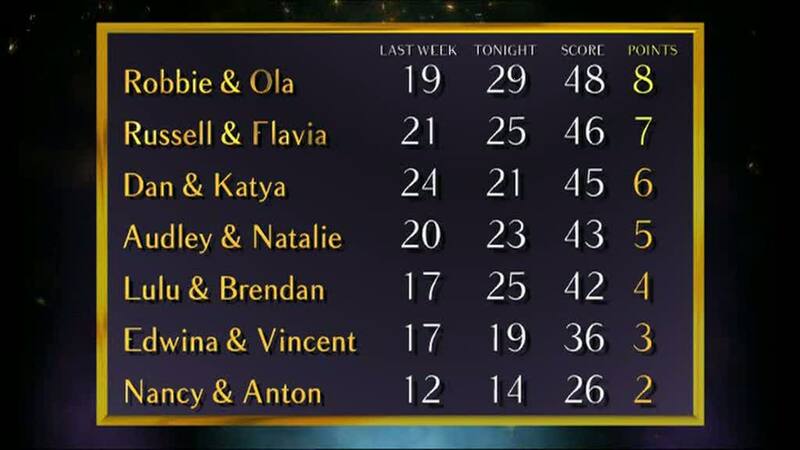 A second electrifying week of Strictly, a second week with Jason riding high on the leaderboard and Nancy at the bottom. But that's where the similarity ends; Robbie had a reversal of fortune, Harry put the fox into the Foxtrot and Russell proved he wasn't a one-trick Astrologer, securing his second standing ovation of the series for the Salsa. It was also a night of unexpected suprises, Miss Alex Jones found a fan in John Prescott, Chelsee thrilled in her frilled trousers and Nancy stepped over the judges desk and into the arms of Anton. It's the second week of Strictly, and the celebrities are taking to the floor to dance either a Salsa or Foxtrot. We'll be live at 'studio door' to bring you all the drama of the dancefloor with backstage quotes and pictures. Chelsee: "I was more nervous than last week. My legs were like jelly"
Edwina: "I really enjoyed that dance but I prefer the dances where we're in hold"
Natalie: "That was by far our best performance!" Alex: "We got 8s!! I am so pleased!!" 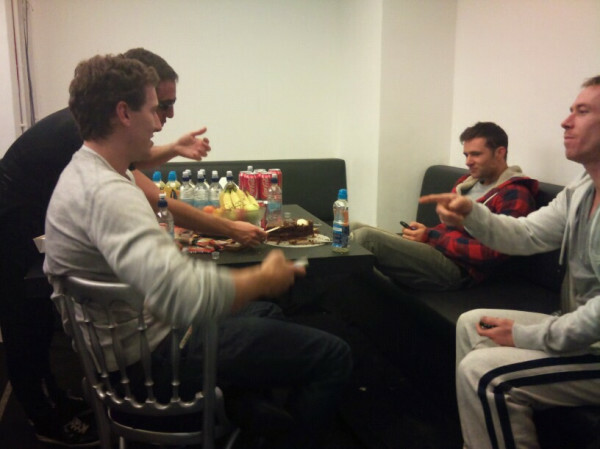 Dan: "Phew! That was a sweaty one!" Brendan: "You did so well. I'm so proud of you!" 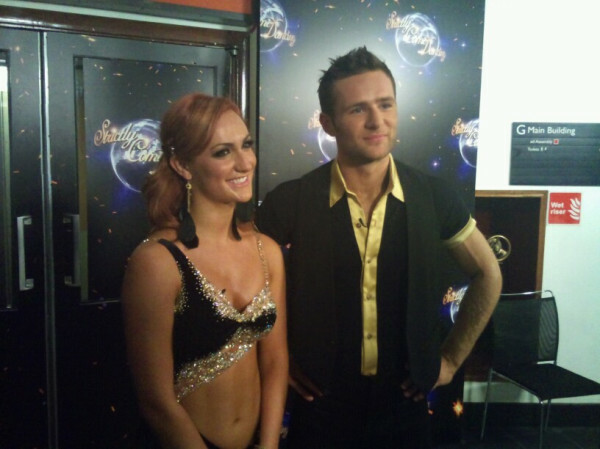 Holly: "I didn't even realise we had the highest score of the night so far! That's great"
Erin: "It might not have been fluid but the routine was certainly all there!" Robbie: "I'm in shock! I'm still shaking like a leaf"
Anita: "I'm annoyed with myself because I could have done so much better"
Jason: "I'm so pleased because it's been such a difficult week"
Anton: "The judges are becoming ridiculous now. I'm losing respect for them"
Flavia: "What an amazing atmosphere in there!" 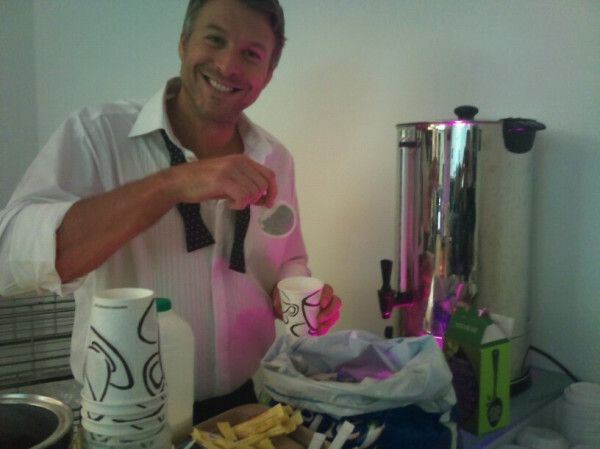 Milk, no sugar... Robin and Russell take a tea break. 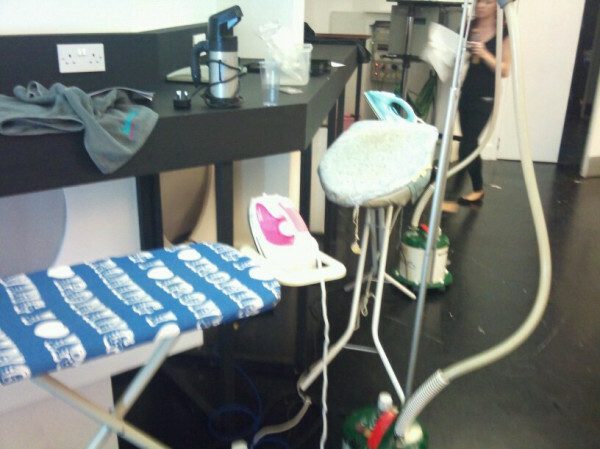 Ironing boards at the ready. Harry and Robbie discussing football or tonight's foxtrot? Chelsee and Pasha strike a pose. 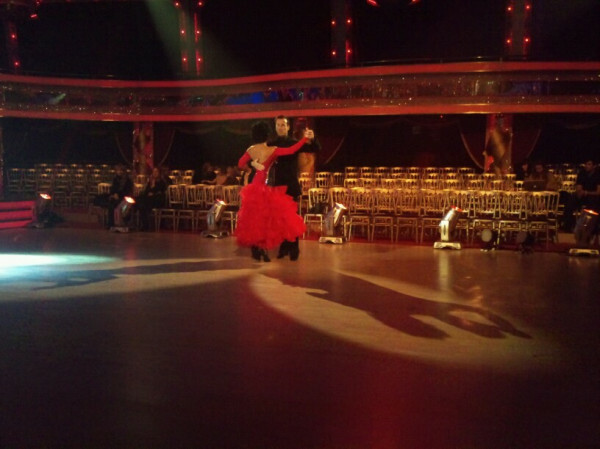 Alex and James glide across the floor. 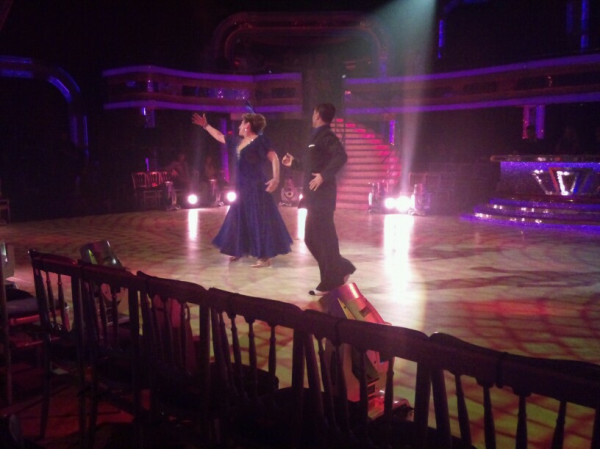 Holly and Artem run-through their sizzling salsa steps. Dan and Katya bust the Morecambe and Wise move. Edwina and Vincent cutting a dash on the dancefloor. Rory and Erin put a spin on the salsa. Nancy and Anton, no feather boas necessary this week. 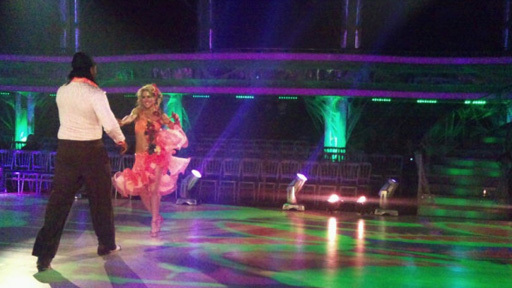 Harry and Aliona take a turn. Jason and Kristina put the fox into foxtrot. Anita and Robin are dotty for dance. Russell ready to make another grand entrance. The stage is set, the glitter ball has been polished and the spray tan is on standby, this can mean only one thing. It's LIVE show night tomorrow! We caught up with some of our couples as they arrived for rehearsals at Television Centre this morning to see how they are feeling about performing their second dance. Who are you looking forward to seeing on the show this weekend? 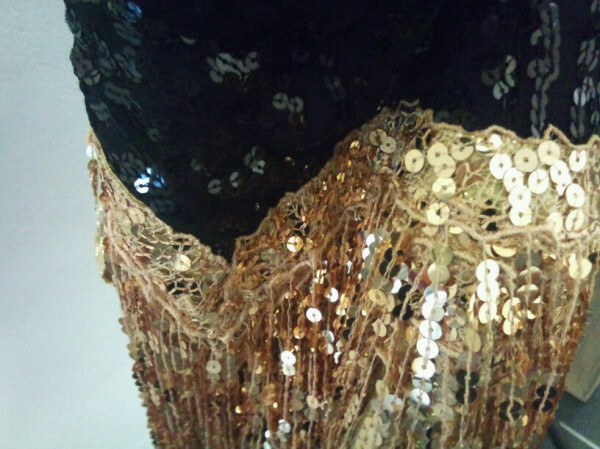 The first live shows were crammed full of sequins, shells and boas and this week promises to be just as exciting with our couples performing either a Latin or a Ballroom dance LIVE on Saturday. The judges certainly had some constructive criticism for our dancing duos at the weekend, but have our starlets taken on their comments or will we see a repeat of a 'curtain stuck on the spin cycle'? We've got hold of some EXCLUSIVE rehearsal footage to give you a sneaky peek at how our celebrities are getting on in training. Check it out and let us know what you think. A new addition to Strictly this year is the alternative Red Button commentary. On Saturday 8th of October Karen Hardy will be casting her choreographer's eye over the dancefloor with 2010 finalist Pamela Stevenson. You can catch Karen and this week's guest on Strictly Come Dancing, by pressing the Red Button during the next live show on Saturday 8th October, 6.05pm on BBC One. 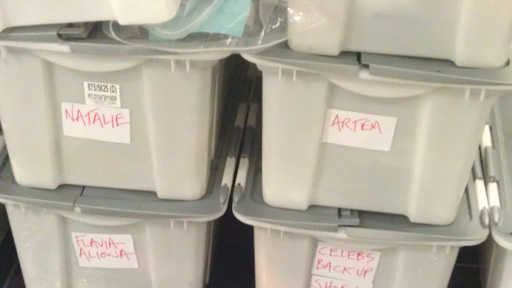 Here at Strictly HQ we are still buzzing from the weekend, but the excitement just keeps coming, as we've just got hold of some bloopers from the celebrity trailers. Russell came out of his shell, Nancy dropped her feather boa and Jason unleashed his inner Latin love god. Just a few of the too numerous to mention highlights of the first two shows of 2011.
Who are you tipping for Strictly success this year? And what did you think of the scores from the judges? We were first on the dance floor to bring you these exclusive reactions from the celebrities, judges and professional dancers. 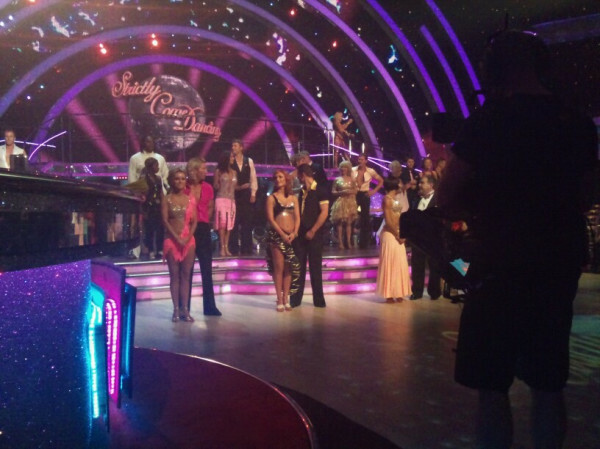 You can also recap on all the action from Friday and Saturday night in just 1 minute with Strictly in 60. Your bite-sized guide to the best ballroom battle. 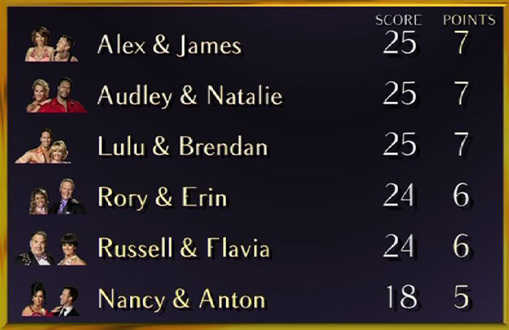 And finally, check out how your favourite couple fared on the leaderboard. Remember you can always relive the best and worst scoring dances from each week. This week, watch Nancy and Anton with that feather boa or Jason and Kristina and those snake hips. 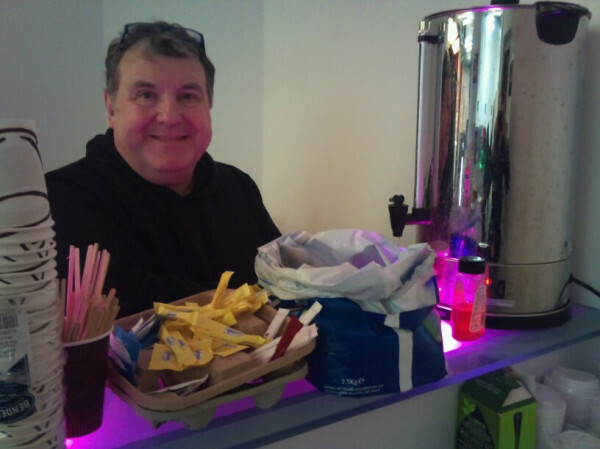 Last night Strictly got off to a cracking start - Anita and Holly are joint top, Russell received a standing ovation, Lulu got another lift from Brendan, Robbie got a '2' from Craig, while Dan and Audley Waltzed to a steady start. Let's hope tonight's show carries on where the first show left off. 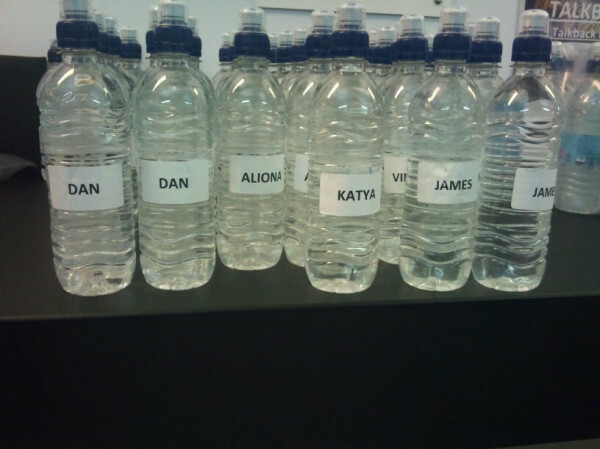 So, who are you looking forward to seeing tonight? 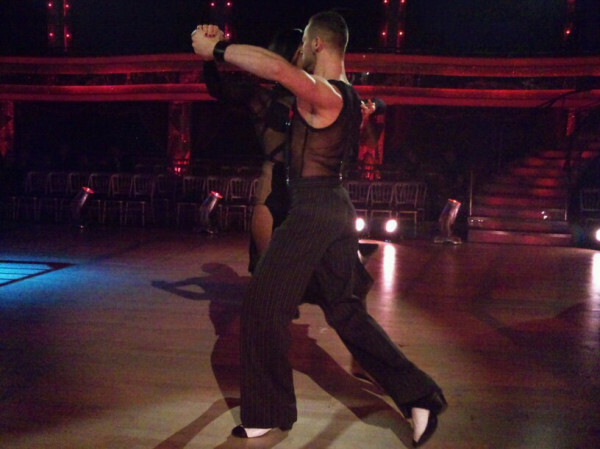 Will anyone be able to overtake Anita and Robin, and Holly and Artem? 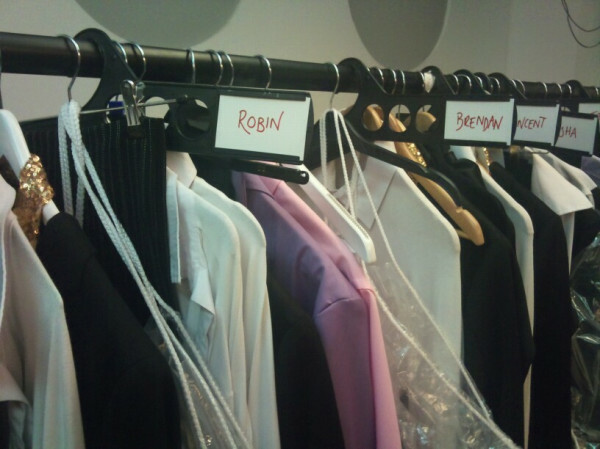 We'll have backstage photos and reactions here FIRST. Harry: "I can't believe how much I enjoyed that!" Rory: "Just before the dance, I thought of all the people I was doing this for"
Alex: "We got to the end without falling over, which is great!" Chelsee: "I'm happy but I think I could've done better. I stumbled a few times"
Edwina: "I think Craig scored low because he didn't have a say"
Jason: "I'm still in the moment. That was great!" Today's rehearsals are proving to be as sizzling as a surprise Indian summer in October. So make sure you tune-in for a cha-cha-cha from Alex, Edwina, Harry and Jason, and a ballroom blitz with a waltz from Chelsee, Nancy and Rory.